Really liked the look but were difficult to put in. 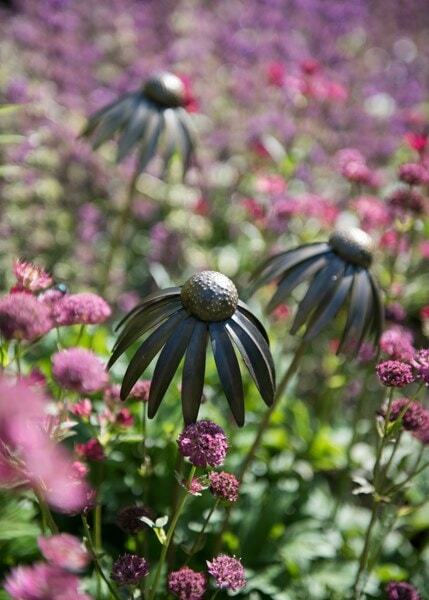 These bronze plant stakes are so attractive in summer but especially in winter when nearly all other flowers have gone. 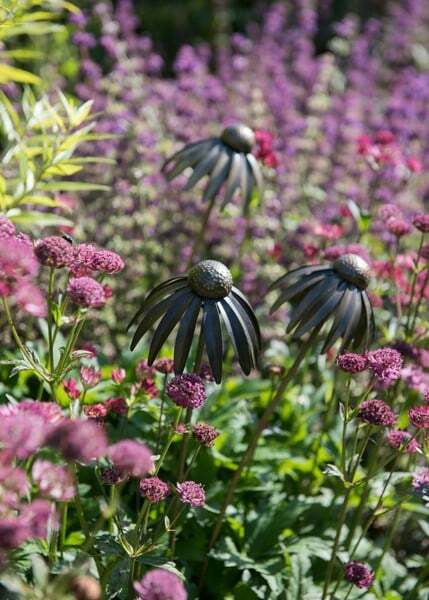 They are a beautiful focal point amongst evergreen plants/bushes, they are totally unaffected by weather and can be situated in several different places in the garden as the seasons change. Love, love, love them. Well package. Withstood the beast from the east with no blemishes. Ornamental in the flower borders in the summer amongst the plants & attractive in the winter when most plants have died back. 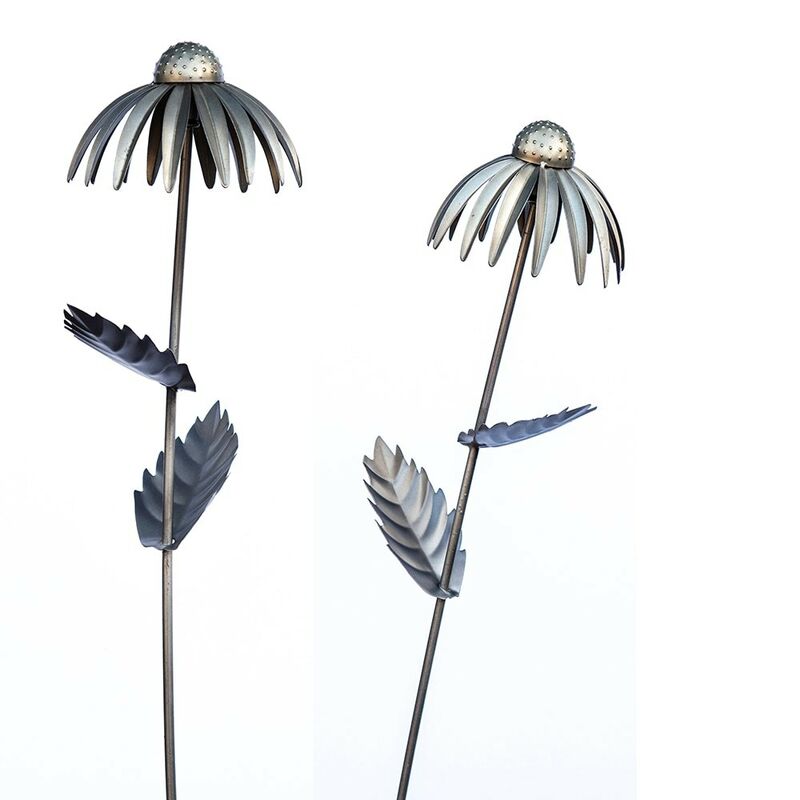 I love my echinacea stakes. I bought some last year and loved them so much I bought more again this year. Such a clean simple design, they bring a smile to my face everytime I see them in my garden. Love, love, love. Delicate looking but quite sturdy, beautiful colour. Use them for winter interest but looking beautiful nestled amongst my flowers.